Note: This Clan is in fact a real thing on CPI, feel free to find me and contact me if you have any questions. This Clan is also recruiting! Derived from the Latin language, Mortem Coterie translates to "Death Clan". This faction was formed by one being so ancient their name is no longer known. All that is known of them is their obsession with the suffering of other beings. Mortem Coterie is best known for their gruesome ways of murder and their strong belief in eternal purgatory. Many members of the Coterie have little to no sanity, forcing it to be very diverse based upon mental state. They keep any trespassers as prisoners, also known as Vinctus, then give them to the Carnufex and the Cruciatus to be dealt with. As diversity was stated earlier, the wide range of ranks allows many members their rightful spot in the faction. Mortem Coterie runs on a Class system, each rank set of ranks belong to a certain class. These classes will be listed later. Now, unlike most Clans, some ranks will restrict you from being moved up or promoted. These ranks vary, just because there is no where else you could move up to. If you couldn't pick it up, Latin was the first language to be used by the Coterie, this means that if you translate any Latin term, you may find the function of that rank or class. Or perhaps you could try to be smart and use your common sense. 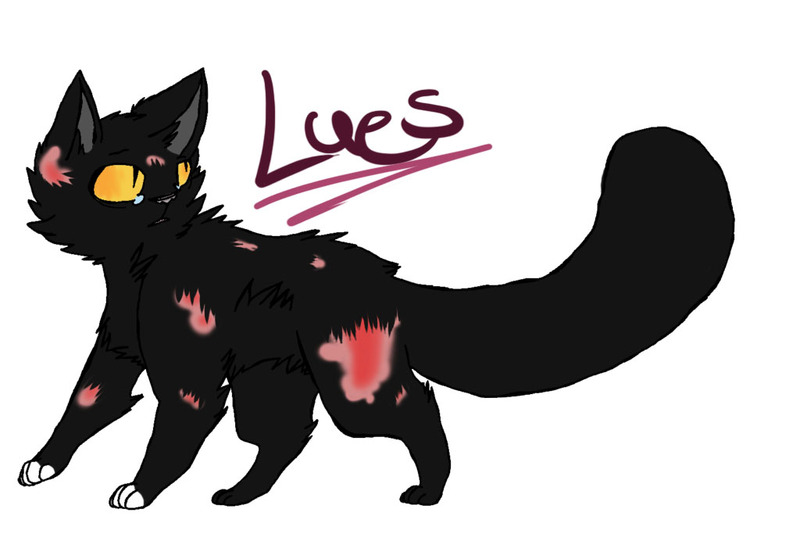 Lues - At a ripe age of 35 Months, Lues is the Tyrannus of Mortem Coterie. Despite his physical health, Lues holds every other trait that qualifies him to be this rank. Lues is a stubborn and rude brute, but he can be a teddy bear at times. His fierce loyalty and refusal to give up on this faction is unfathomable. Lues became Tyrannus after the previous leader retired and later passed on to Pallid Mors. Tyrannus are the Overseer of Mortem Coterie. They are the head of the Dux. There will only be one at a single time, only a Proconsules can become a Tyrannus, either by default or by choice of the current Tyrannus. The Proconsules is second in command and serves as a Commander of the Tribunus. Qualifications of a Proconsules include the stern knowledge of the organization, ferocious loyalty, and the ability to manage the whole army of Tribunus. There may be more than one Proconsules to improve efficiency of commanding. The Tyrannus must choose one to succeed. Tiros can also be trained to become a Proconsules. The Tribunus are the fighters of the faction. They are under command of the given Proconsules. Platoons may be formed for marking and battling. This is the most common rank Tiros are trained into. Tribunus are also able to become Proconsules if the Tyrannus thinks one is worthy of the heavy promotion. What's a group without any guards? Custos are often selected out of a burly bunch. They must be strong and have the "invincible" look to them. Tiros can rarely be trained into this rank, due to the physical requirements. This rank is allowed to be stacked up. A Proconsules can become a Custos, Tribunus can become a Custos, so on and so forth. Venators are the suppliers, they hunt for the Liberi, Vetus, and the Gravida. Venators are also another common rank for Tiros to be trained into. Venators are required to have superior senses and excellent tracking skills. Venators can not be promoted. Here are your specialists. They hold all knowledge of healing and curing the sick. Tiros must have special training to be able to become a Chirurgus. Chirurgus are able to have affairs and offspring, but they must be able to continue performing their listed duties. Chirurgus can not be promoted. Tiros are the members that are currently in training for Tribunus, Custos, Venator, Chirurgus, etc. The required age for becoming a Tiros is 7 Months. Tiros can be promoted to multiple ranks and come from the Liberi. Tiros will be promoted once they prove their skills for the rank they choose. For all the information we have of Pallid Mors, we have a Sermo. Sermos have the ability to communicate to those who are trapped in the world of eternal limbo and suffering. Sermos are also capable of sensing the presence of "poltergeists" and whom they take action on. Sermos are special and cannot be trained into from Tiros. Sermos are not able to be promoted either. Even the name brings fear into those who hear it. The Carnufex is the executioner of the Vinctus. The process of "jailing" is slightly different than most. The Cruciatus only warm up the Vinctus before taking them to the head honcho of the Carcerem. There are no preferences or qualifications for Carnufex except a low sanity and a sadistic fetish. Right below the Carnufex, here is the Cruciatus. This rank beholds the ability to mentally and physical damage the Vinctus. There is no restriction of how far to go, just don't kill them. There ceases to be no qualifications aside from being really screwed up in the head and also with the same sadistic fetish... Sometimes, Cruciatus can be promoted to Carnufex. The Gravida are females nursing or expecting offspring. Females will remain this rank until their offspring reach 7 Months of age. Then they will return to their normal placement. Here you have your young kits. Liberi will become Tiros when they reach 7 Months. Vetus are members that are unfit or unable to carry on their duties for the faction. Other words, they retire to the Vetus position.